A seven-year-old orphan in Malawi has received a special gift which has travelled thousands of miles, thanks to the astounding efforts of a young Mary’s Meals supporter. Charity Ngelezi (right) was delighted to receive a rucksack full of school equipment and toiletries as part of the Backpack Project run by Scottish-based organisation Mary’s Meals. Mary’s Meals provides over 600,000 hungry children with a daily meal every school day in some of the world’s poorest countries, attracting them to a classroom where they can gain a basic education. Last August, Charlie Doherty (below) and his mum Julie set off from Brighton and cycled over 500 miles to the Mary’s Meals warehouse in Glasgow to deliver Charity’s backpack. This mammoth trip was made all the more extraordinary because Charlie was only 11 at the time. When they reached Glasgow, the backpack was put into a container with 5,000 others and started its long journey to Charity. It travelled by sea to Mozambique and then by road to Malawi. When Charity opened it sometime later, she found not only a new dress and sandals, but also a tennis ball, stationery, a towel, toiletries and a spoon. 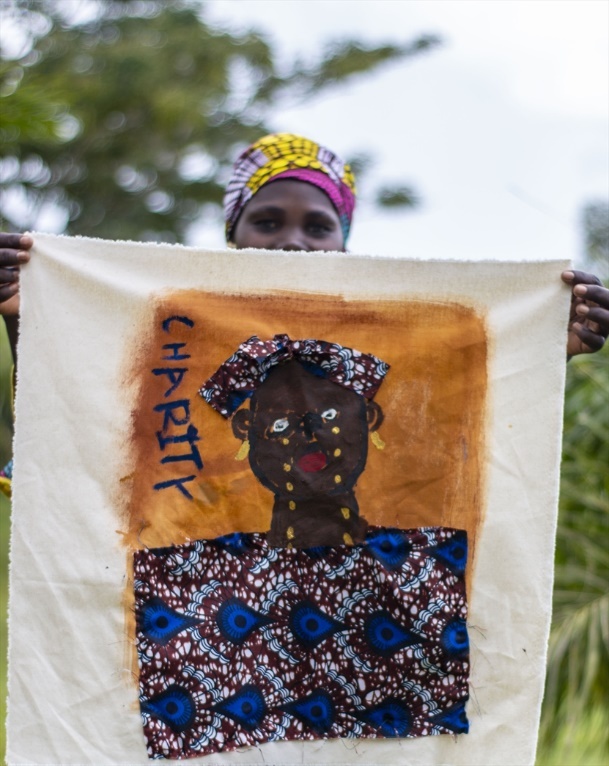 Orphaned at a young age, Charity said she would share her backpack items with her sister and grandmother. 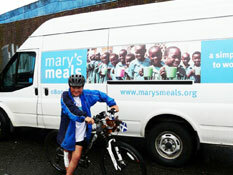 Mary’s Meals has delivered over 250,000 backpacks to Malawi and Liberia since the start of the project in 2004. He may be young, but Charlie, 12, is already a fundraising veteran, having walked from his hometown of Crawley, West Sussex to Brighton and completed the Brighton Mini Marathon in 2011 to raise funds for Mary’s Meals. Since the age of six, Charlie has asked that instead of birthday presents, people donate to the charity. Charlie raised around £10,000 for Mary’s Meals last year and, when his sponsored cycle got really tough, it was the thought of children less fortunate than himself that kept him going. He said: “It costs just £7 to provide a child in Malawi with Mary’s Meals for a year – that is so little yet it can change the life of a child. It has been amazing to hear about how excited Charity was to receive my backpack and how such a simple thing can make someone so happy. My friends and I are doing the Mini Mile in Brighton again this year, so hopefully we’ll be able to tell more people how a little loose change can make a big difference.